Digi.Com (Digi) recently posted an increase of 0.8% quarter over quarter to RM717 million, with the results powered by strong postpaid and internet revenue growth. Digi’s internet revenue grew 2.6% in the past quarter as a result of a larger active internet subscriber base (69.1%) and 68.6% smartphone adoption. According to the press statement, this indicated that Digi is making progress in its plans to capitalise on the growing demand for data among Malaysians, despite persistent competition within the telco sector. Among the plans included the recent launch of the #FreedomtoInternet range of internet and digital service offerings last month to satisfy the on-demand data needs of consumers such as music, video and gaming. Overall, its EBITDA also increased quarter-over-quarter by 0.8% to RM717 million, placing its profit after tax at RM359 million. The number of monthly active users on its mobile app, MyDigi, increased from 400,000 to 2 million, and there was nearly a 100% adoption rate of its mobile sales app across retail and controlled channels. The mobile sales app allows agents and dealers to serve customers faster by completing new registrations within at least 20 seconds. Its postpaid increased by 3.1% and prepaid revenue saw an improved quarter-over-quarter decline that narrowed to 3.7%. 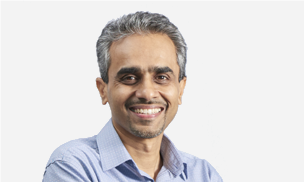 “While this continued to be a challenging quarter for the industry, we have delivered resilient performance to sustain healthy margins and returns, with earnings driven by the strong uptake momentum of our internet and digital services offerings in both our postpaid, prepaid, enterprise businesses, and most recently, our IoT business,” Digi’s CEO Albern Murty (pictured), said. Digi recently appointed former chief executive officer of Digi.Com, Lars-Ake Norling as its chairman for both Digi and its parent Digi.Com, effective immediately. He succeeds Morten Karlsen Sørby who has resigned from the role he has held since 2015. Forget sophisticated apps or complex codes to draw in customers, Headline Daily has struck a chord with readers with a simple mobi..